JC Sports Houston is proud to announce their partnership with Houston Dynamo Legend Brian Ching. 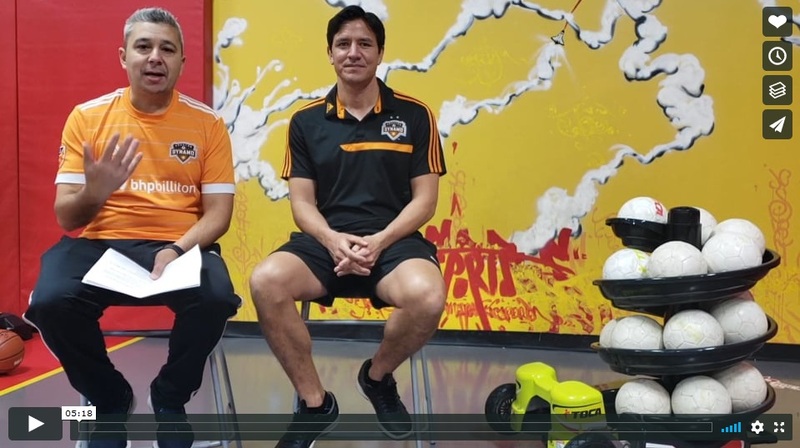 Jennifer and Cesar Coronel, Owners of JC Sports in Humble, have been working hard for the last year with Brian Ching (a friend of their family now) to develop a curriculum that focus on Soccer and Athlete development. JC Sports believes that it takes more than just soccer skills to become a pro player. Working together with Brian, they have identified different key aspects in athlete development and want to share those with you this upcoming Spring Break. TOCA Football training to make sure proper soccer technique and repetition are a priority of our Workshop. IHT Spirit Gear: We will teach about the importance of Fitness, Cardiovascular training, and to make sure players work out at their fullest potential and get to know their body. * Brian Ching Soccer Expertise: 3 times MLS Champion and 6 times MLS All stars and from 2003-2010, Brian made 45 appearances and scored 11 goals for the United States men’s national team. *Nutrition: classroom workshop on the importance on Nutrition and health to make sure we achieve our fullest potential. *Mental Thoroughness: classroom workshop on sports Psychology and the importance of pregame preparations. *YOGA: Workshop on YOGA with focus on strength, balance, breathing and visualization.